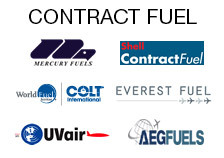 Republic Jet Center announced today that it has officially been recognized with the Everest Fuel Preferred Award. The award honors high-performing Fixed Based Operators (FBOs) throughout the country that exemplify commitment to safe operations, excellent service, modernized facilities and who take a long-term approach to relationships. Republic Jet Center is among the first five FBOs to receive this recognition. To be selected as an Everest Fuel Preferred Award recipient, Republic Jet Center was assessed across a variety of selection criteria to determine that the FBO exceeded Everest’s standards for facilities, amenities and procedures. This included: an on-site evaluation audit of the facility; a safety inspection to ensure the FBO adheres to ATA 103 fuel quality-control procedures and it follows nationally recognized standards for training line-service personnel; the FBO has demonstrated outstanding commitment to service to Everest Fuel customers; and the FBO has maintained a long-term relationship with Everest and provides Everest customers with exceptional value. Republic Jet Center offers unparalleled aircraft and crew services. These include an on-site Part 145 repair station; a NATA Safety First Certified line crew; hangar and ramp parking; and full de-icing. In addition, Republic Jet Center features a 100,000-gallon fuel farm that has a generator back-up and it offers the lowest retail price for Jet-A and AvGas available at Republic Airport. While on the ground, Republic Jet Center provides deluxe passenger services, including planeside vehicle access, an executive lounge and conference room with wi-fi access and satellite television, full concierge services with luxury car and limousine transportation access, a pilot lounge and VIP helicopter transfer to Manhattan. Republic Jet Center President Jeremy Epperson talks about his kids inspriring him to overcome his fear of swimming and completing a 5-mile open-water swim in the SF Bay. Listen below. 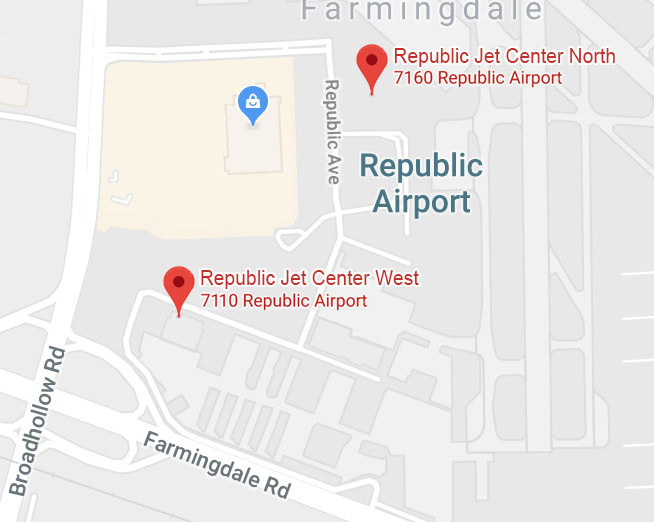 Farmingdale, NY (November 25, 2017) – Republic Jet Center, a Signature Select member of the Signature Flight Support global FBO network located at Republic Airport in Farmingdale, New York, announced today that it has launched its new website, RepublicJetCenter.com. The site is intended to serve as a brand ambassador for the firm, allowing site visitors to view the company’s array of services as well as to make reservations 24/7/365. As a Fixed Base Operator, Republic Jet Center provides ground support for all general aviation aircraft. Partnered with the prestigious international firm, Signature® Flight Support Group, travelers, pilots and crew receive unparalleled services that include quick, consistent delivery for all of their aircraft needs. Passengers and crew may relax in Republic Jet Center’s luxurious new lounge facility or take advantage of their overnights by sightseeing and going on shopping trips, fully arranged by RJC’s concierge. The new website is intended to further the brand as well as to facilitate making arrangements for an aircraft online. Site features include an exciting, clean design as well as easy to use navigation and convenient forms. “Not all FBOs are alike. Republic Jet Center’s new website makes our commitment to provide exceptional service crystal clear,” states Adam Katz, Founder, Republic Jet Center. “Our association with the prestigious Signature® Flight Support organization sets high standards for our FBO to fulfill. 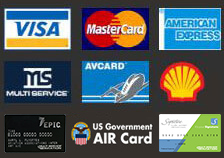 From its sleek appearance, quick access to information and ability to make reservations, RepublicJetCenter.com will represent us and our esteemed partner well,” Katz concludes. Farmingdale, NY (August 15, 2017) – Republic Jet Center, a Signature Select member of the Signature Flight Support global FBO network, announced today that it has officially assumed full ownership and operations of all fixed base operator (FBO) facilities and services formerly owned and operated by Talon Air, Inc. 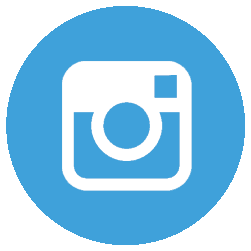 The 100,000 square foot FBO complex, equipped with state-of-the-art equipment and technology, is located at Republic Airport (KFRG) in Farmingdale, New York. Republic Jet Center clients will continue to have access to the first-class amenities that has become the hallmark of these facilities since FBO status was awarded in 2015. Republic Jet Center will also continue as Long Island’s only FBO to operate within the Signature Flight Support Corporation’s network, offering added value for clients by way of point-to-point coordination with other Signature locations—saving time and ensuring consistent, high-touch concierge service. Republic Jet Center has the largest hangar space offered by any of Republic Airport’s FBO’s, providing 24/7 maintenance and fueling services for based and transient aircrafts. Republic Jet Center also offers unparalleled aircraft and crew services. These include an on-site Part 145 repair station; a NATA Safety First Certified line crew; hangar and ramp parking; and full de-icing. In addition, Republic Jet Center features a 90,000 gallon jet fuel farm that has a generator back-up. By implementing its own fueling systems at the airport rather than relying on outside sources, Republic Jet Center features the lowest retail price for Jet-A and AvGas available at Republic Airport. While on the ground, Republic Jet Center provides deluxe passenger services, including planeside vehicle access, an executive lounge and conference room with wi-fi access and satellite television, full concierge services with luxury car and limousine transportation access, and a VIP helicopter transfer to Manhattan. Additionally, Republic Jet Center offers a pilot lounge with sleep rooms and showers. Also, Republic Jet Center is now the first FBO facility on Long Island that is part of the Signature Support Global Network of more than 200 worldwide locations. This will create value-added cost savings for air travelers and will give Signature members the ability to accumulate TailWins™ rewards for the first time when flying in and out of Republic Airport. For more information about Republic Jet Center, visit the website https://www.RepublicJetCenter.com or email FBO@RepublicJetCenter.com. Signature Flight Support Corporation announced today that Republic Jet Center, formerly known as Talon Air, of Farmingdale, New York (FRG) has completed its transition to Signature Select and now offers the full suite of Signature Flight Support amenities and customer benefits. Republic Jet Center’s Signature Select affiliation creates added value for clients by way of point-to-point coordination with other Signature locations—saving time and ensuring consistent, high-touch concierge service. Republic Jet Center’s, headquartered at Republic Airport (KFRG), facility comprises more than 100,000 sq. ft. of hangar and office space, making it the largest operator at Republic Airport. The facility includes an executive terminal, pilot lounge, refreshment area, conference room and on-site car rentals. Republic Jet Center is the only FBO to have a FAA Part 145 Repair Station at its facility. The repair station performs maintenance repair and overhaul (MRO) on most modern aircraft—along with non-destructive testing (NDT), avionics installation and repair, interior installation and refurbishment. In addition, as part of their Mobile Services Team, they provide aircraft-on ground (AOG) service. Signature Select members are supported by Signature Flight Support’s global sales and marketing teams and are promoted along with its network of more than 200 worldwide locations. Each member company maintains its independent brand with the addition of the Signature Select badge. To learn more about Signature Select, visit www.signatureselectfbo.com or contact Melissa Singer, Senior Director of Brand Extension, at 407-648-7229 or via email: melissa.singer@signatureflight.com. BBA Aviation plc is a leading global aviation support and aftermarket services provider with market leading businesses and attractive growth opportunities. BBA Aviation’s Flight Support businesses (Signature Flight Support and ASIG) are focused on refuelling and ground handling of business and commercial aviation aircraft. Its Aftermarket Services businesses (Dallas Airmotive, H+S Aviation, International Turbine Service, Barrett Turbine Engine Company, International Governor Services and Ontic) are focused on the repair and overhaul of jet engines and the service of aerospace sub-systems and components. For more information, please visit www.bbaaviation.com.